Seattle, Bellevue DUI - DWI Attorney | DWI - DUI Lawyer in Seattle Washington | Eagle Law Offices, P.S. In the state of Washington, driving under the influence of alcohol or any drug is a serious offense. It can be treated as a felony or a classification of crime known as a “gross misdemeanor.” Gross misdemeanors can result in imprisonment for as much as one year and/or a fine of $1,000. Felony convictions usually have even harsher punishment. Eagle Law Offices, P.S. has experienced DUI attorneys to represent you. They will do everything possible to have any charges against you not “overcharged” by the prosecutor. Your defense by our attorneys will be aggressive and you will be informed of everything we do before we do it. Your choices will be explained to you every step of the way. In the state of Washington, in addition to criminal charges, you will have an administrative hearing conducted by the Washington Department of Licensing (DOL). This is an administrative hearing that occurs if you refused to take a breathalyzer test or failed it. Failure is a blood alcohol level of .08 for regular drivers and .04 for commercial drivers. If drugs are suspected and you refuse a blood test you will be arrested for DUI, too. However, you must request the hearing within 20 days of your arrest; otherwise suspension of your license is automatic and will occur within sixty days. You are entitled to mount a legal defense at this administrative hearing. Eagle Law Offices, P.S. can help you prepare and represent you at the hearing. Remember, this hearing is completely separate from the criminal charges and is concerned only with suspending your license. If you are convicted of a gross misdemeanor or felony DUI you can go to jail and be fined. Your credit rating could be affected as could your employment. DUI attorneys from Eagle Law Offices, P.S are familiar with cutting edge defense strategies to represent you to the fullest. 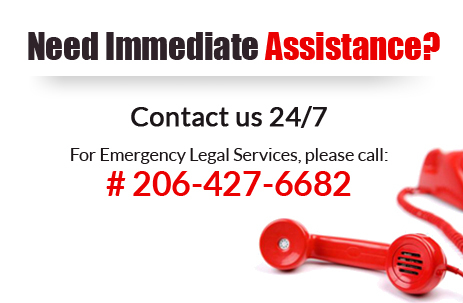 Call us at 206.426.6961 for a no obligation, free telephone consultation.